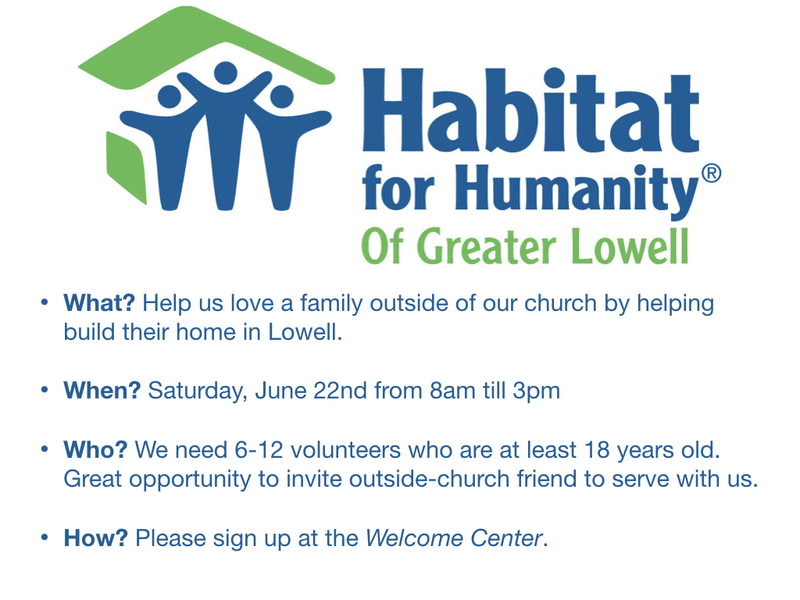 Come help work on a Habitat for Humanity house in Lowell on June 22nd from 8am till 3pm. Help us love and care for one outside of Cornerstone family really well by helping build their home. We need 6-12 volunteers. All participants must sign up in advance and must be at least 18 years of age. Great opportunity to invite a non-church friend to serve with us.